Online video content – is this for chic and modern urbanite? Just across the night after a touching speech by Pongpat Wachirabunjong, at Nataraj Award, the famous clip posted on Youtube has hit 600,000 views. 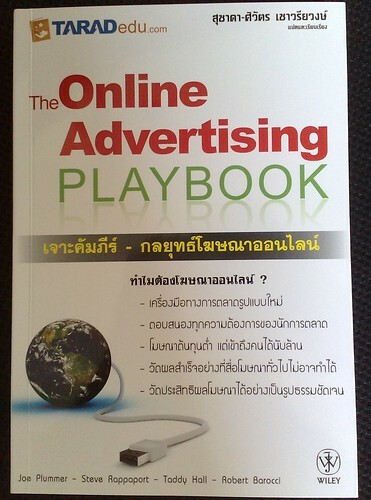 This is one of the phenomenon for Thai Internet industry. The key driver behind this rapid growth of views is absolutely the ability to “share” video content over Facebook, as well as “retweet” over Twitter. The same clip hits 1.1 million views after 24 hours and 1.6 million views 3 weeks afterward. Facebook timeline of many Thai people was flooded by these clips during the first few hours after his speech. Social media nowadays creates a great chance for great content to go viral. Video content in itself becomes very popular as broadband internet has increased its accessibilities. However, this clip is not the most famous Thai video content viewed by Thai people. We have investigated some other Thai content posted on Youtube and surprisingly found a massive hit on viewing “Luktoong” music videos on Youtube. The famous one like “Bor Gar Bog Kru” by Ernkwan Warunya was more-than-double viewed compared to the famous Pop ones from Bodyslam, Endorphine, or even Bird Thongchai. As broadband internet has rapidly expanded its coverage to upcountry, and Youtube has entered the top 4 of Thailand site ranking, as well as become no. 2 search engine globally, this space is to be monitored and opportunities are to be leverage.